I’m always searching for a bike that can do everything. Ever since I first rode an adventure bike back in the 1990s (a Triumph Tiger 900), I’ve been convinced that the tall, slim, athletic bike was the ticket. On an adventure bike, I can commute, lane share (in my home state of California), tour, and even do a little bit of dirt road exploration. Adventure bikes are the Swiss Army knives of motorcycling. Maybe they’re not the best at any one task, but they are so useful right out of the box that it seems petty to complain about the plastic toothpick. The Suzuki V-Strom has had my attention ever since its debut in 2002 as the DL 1000 V-Strom. 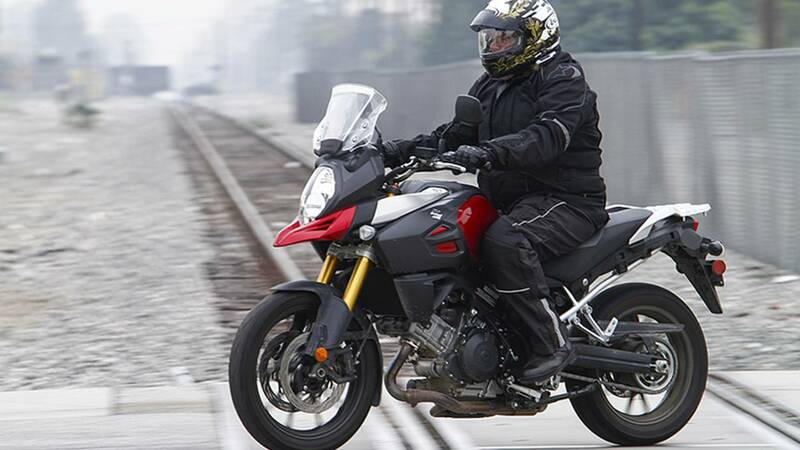 The V-Strom 650 joined the lineup in 2004, and benefited from a major makeover for 2012. 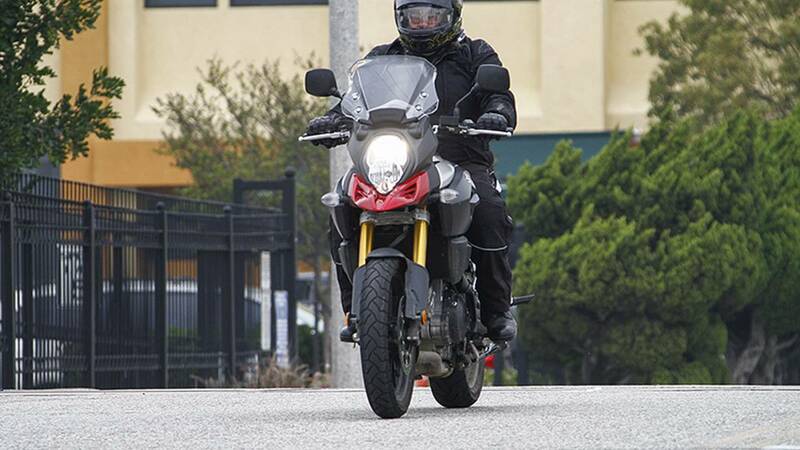 2014 was the V-Strom 1000’s year for a major update that touched virtually every aspect of the bike. I got a chance to spend some time with the 2015 V-Strom 1000 ABS, plugging it into my routine as my everyday motorcycle for over a month. Drawing another analogy, adventure bikes are a lot like SUVs. You have to drive an SUV before you can evaluate or appreciate its appearance – SUVs rarely win design competitions, and they don’t generally turn heads in stock form. But spend some time in a good SUV, like a Toyota 4Runner for instance, and you begin to appreciate the way those slab sides aid in maneuverability, and how that flat hood helps you to judge the distance between your grille and an obstacle. Over time, this appreciation of function turns into an appreciation for form – at least it does for me. The same thing happened with the V-Strom and me. At first, its tall stance, stacked headlights and beak looked odd and gangly to me. I didn’t fully appreciate its lack of ornamentation, seeing its matte surfaces and plastics as ordinary. In time though, the looks grew on me because the bike possesses a ruggedness that isn't flashy. It shows off its most important component, its engine, and makes no effort to hide its frame and subframe behind body panels. A simple LCD and analog dash gives all the information necessary–nothing extra. A convenient weather-sealed 12-volt outlet lives right below the dash. This is an honest bike, with maintenance parts (oil filter, chain) easily accessible and neatly displayed. 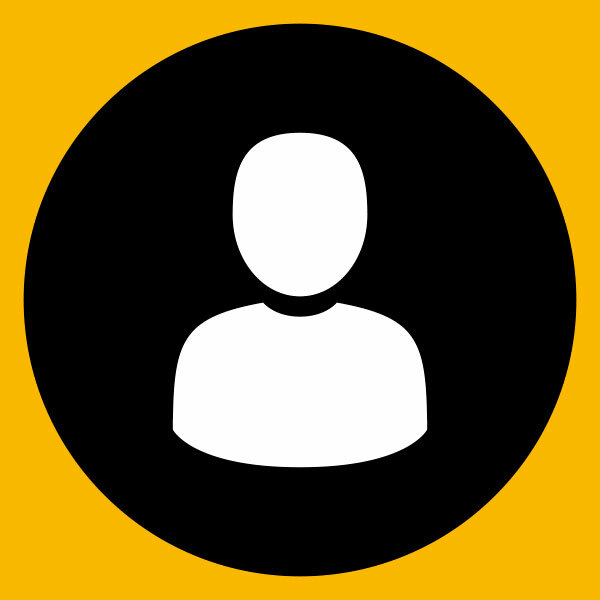 Form following function is its own kind of beauty. A fuel-injected, liquid-cooled V-Twin engine powers the V-Strom 1000 ABS, and it displaces at 1,037cc. Suzuki doesn’t release horsepower or torque figures, but most sources have rated the engine at about 90 hp and 67 lb-ft of torque. Peak horsepower arrives at around 8,200 rpm, torque hits 50 at about 2,000 rpm, and ramps up to peak at about 3,800. 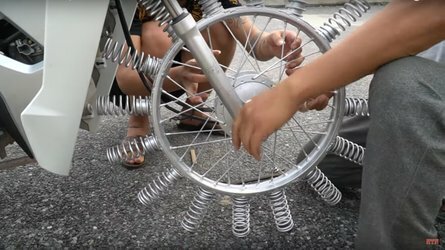 In real world terms, that means that the bike pulls smoothly off of idle, especially with the new slipper clutch, and builds momentum predictably right up the line. I noticed that off-idle throttle was a little tricky, requiring a smooth hand to avoid a jerky start. With practice and familiarity, I was able to conquer this and could live with it. A dyno tune and ECU flash would probably be a good experiment for owners. With a six-speed transmission and chain final drive, there’s plenty of latitude to shift according to your own riding style. In heavy traffic, the torque curve allows for minimal shifting between the lower gears, and power to pass and squirt through traffic is always on tap. When the road eventually opens up, you can shift into the upper gears for lower revs and a smoother ride. It’s a very smooth ride, and with the stock 2-into-1 right side exhaust, the V-Twin growls at a nice pitch. This isn't an engine that demands close attention to the tachometer. You can just ride it by sound and feel, and have the confidence that the right gear is always close by. Riding the V-Strom proved to be truly enjoyable. We had an unexpected period of rain here in Southern California during February, and I had the opportunity to take the V-Strom out on the highway several times in downpours (not always by choice). The 19” front/17” rear wheels were wrapped with Bridgestone Battle Wing rubber that were most suited to the road, and performed well in the wet. The stock windscreen is manually adjustable for three angles of tilt, and can be moved with tools into upper and lower positions. I discovered that the upper position and minimum tilt provided the best wind protection, with minimal buffeting of my helmet. The tiny fairing and shield didn’t do a great job of keeping me dry, but I didn’t expect that anyway. I think that the beak and front fender split the road spray away from me because my body and legs didn’t get overly saturated with dirt. In nicer weather, I spent some time on the back roads and canyons just riding for fun. I had no problems with cornering clearance, even though the foot pegs are rather low. The V-Strom is eager to lean into turns and tracks beautifully on a smooth road. Rougher stuff doesn’t upset the bike either since the suspension soaks up the bumps. On longer rides, the seating position was just right for me at 6’2” with a 32” inseam. I was never cramped, never tired, and only started to think about the seat after about 100 miles in the saddle. 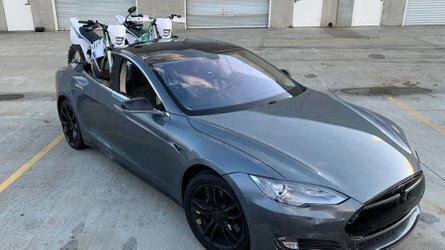 I didn’t spend much time riding with a passenger because the tall rear seat intimidated my wife, who stands at 5’3.” She took one look at it and decided that she’d wait until the next cruiser or touring bike rolled around. 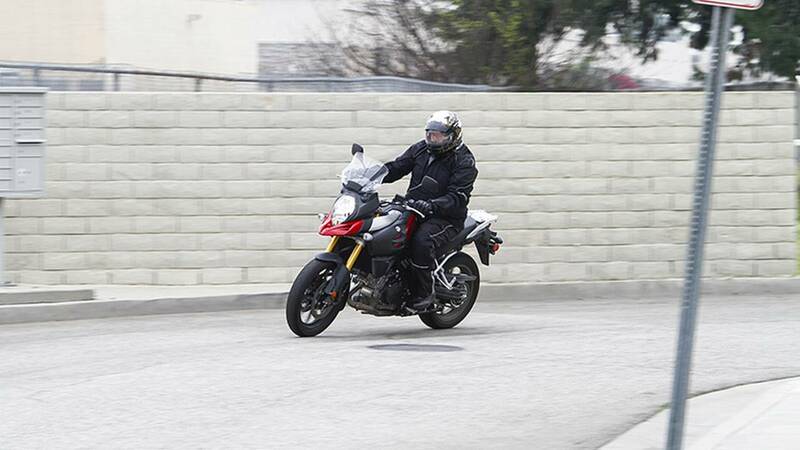 The V-Strom’s fuel capacity is 5.3 gallons–down a bit from the previous generation’s capacity. I averaged a little over 42 miles per gallon during my time on the bike, which puts the V-Strom’s range at over 200 miles. 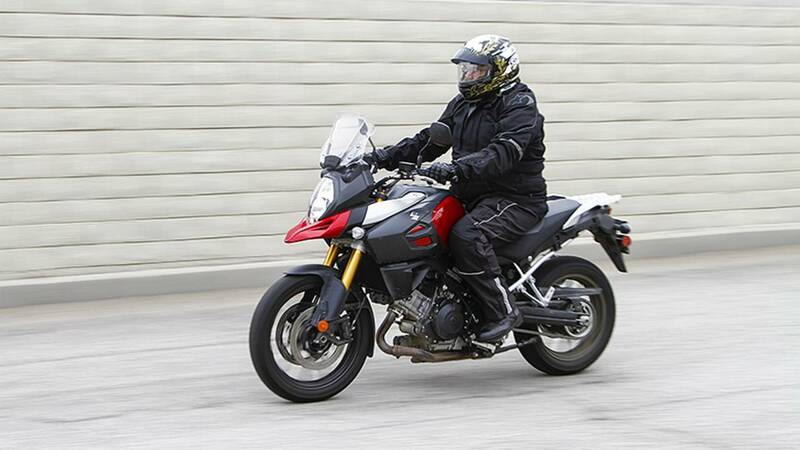 The V-Strom’s chassis felt very rigid and didn't introduce any anomalies into its handling. Gold-anodized front forks are the inverted telescopic type with coil springs and oil damping with no adjustability. The rear suspension is a link type with a single oil damped coil spring that is manually dial-adjustable for preload. Travel is long on both ends, as typical of this style of bike. Twin disc brakes handle the stopping in the front, and a single disc works on the rear. The big technology feature on the V-Strom 1000 ABS is three-setting traction control, which is adjustable via a switch on the left handlebar and displayed on the dash. The three settings (Off, 1 and 2) can be selected when the bike is at a stop. One is for normal riding; 2 is for rain and slippery conditions. Having the traction control off can be useful on dirt and in off-road situations. I experimented with all three settings in the appropriate conditions, and there were times when I was very glad to have the confidence of setting 2 when riding in the rain. Once I got comfortable with the setting, I could brake harder without worrying about locking up the wheels on slick pavement. Traction control isn’t a magic wand for tough conditions, but it definitely comes in handy when you’ve got to ride and the weather isn’t cooperating. I didn’t spend a lot of time off-road on the V-Strom because that’s just not my thing. I did explore a few dirt and gravel roads, and discovered that the narrow tank made standing on the pegs very easy. As I’ve already mentioned, I really appreciated the legroom on the V-Strom. With my 32” inseam and the bike’s 33.4” seat height, swinging a leg over took a little bit of concentration and effort, but I could sit nearly flat-footed at a stoplight. Thanks to smooth operation and easy pull, I found all of the hand controls on the bike very comfortable, even on longer rides. 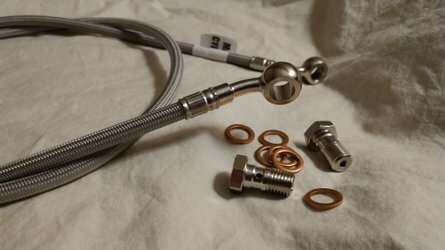 The control layout is pretty standard with turn signals on the left switch, a trigger bright headlight switch, and a simple multi-function control toggle and horn button. The right handlebar houses the expected kill switch, starter and hazard light control–all easy to operate in heavy gloves. Fortunately, I didn’t drop the V-Strom, but if I did I’m pretty confident that I could get the 502-lb bike back on its wheels by myself. 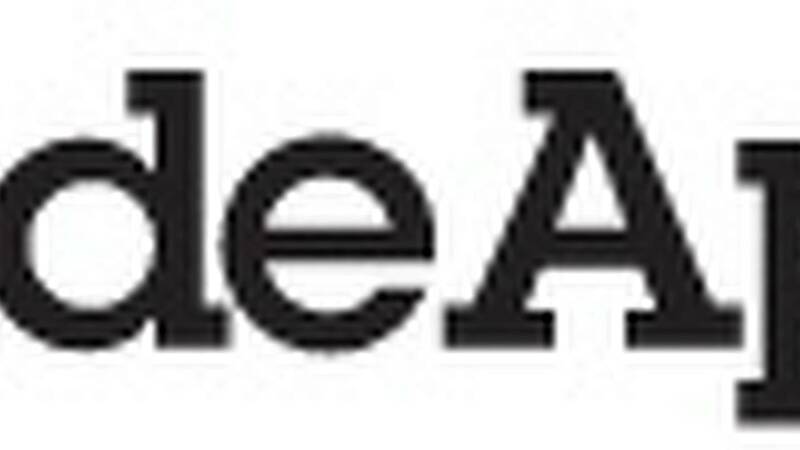 Pushing the bike around the garage was a breeze thanks to good balance and broad handlebars, which are tubular and relatively flat. They work perfectly with the upright seating position, and would be easy to swap out the bars for a more custom fit. As delivered, the 2015 Suzuki V-Strom 1000 ABS comes with a $12,699 price tag. 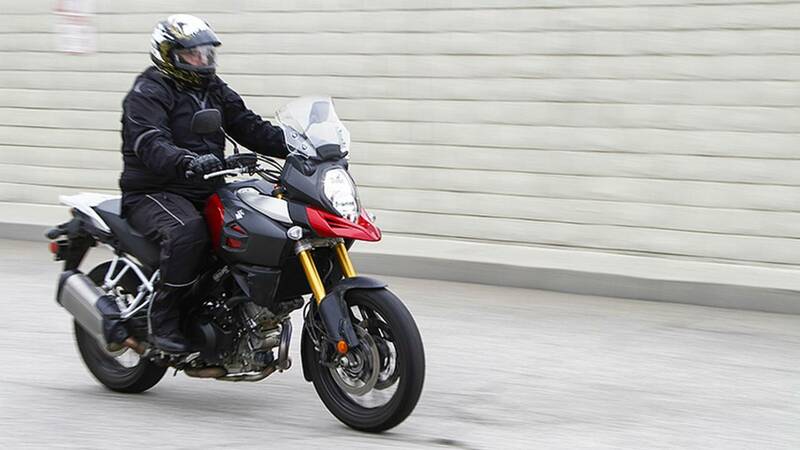 There’s an Adventure version of the V-Strom 1000 ABS that includes an under cowl, hand guards, touring windscreen, side cases and mounting brackets, and accessories bars bolted on to the same basic bike. This comes in at a base MSRP of $13,999. 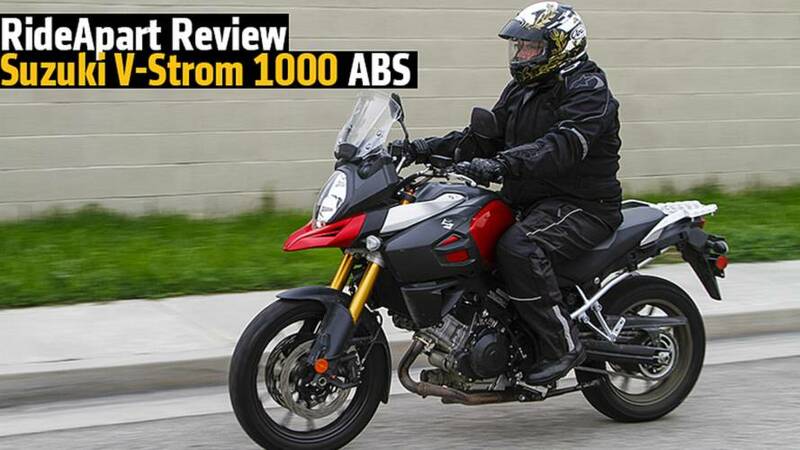 My search for the perfect do everything bike continues, and the V-Strom 1000 ABS is now on my list for consideration. I would probably lean toward the Adventure version in favor of its hard bags and out of the box carrying capacity, but maybe not. 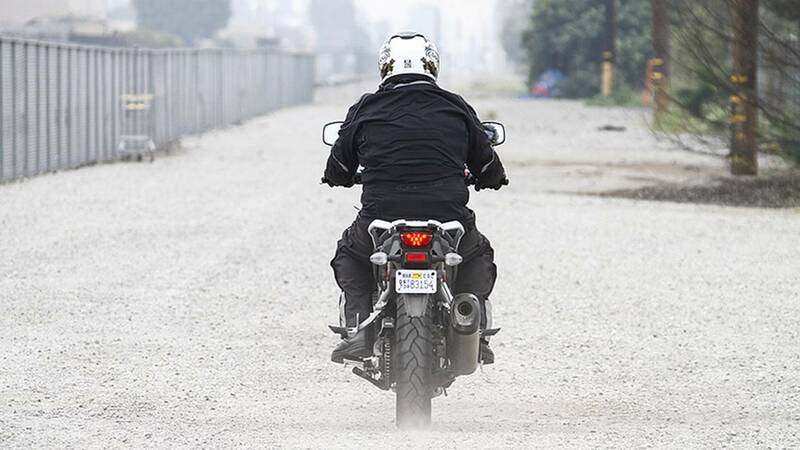 The slim V-Strom profile combined with tall seating position really rocked commuting duty and that’s the bulk of my riding nowadays (unfortunately). I’d also consider the competition, like the new Kawasaki Versys 1000, Yamaha FJ-09 and Super Ténéré. I’d also have to think hard about stepping up to a BMW R1200GS, a KTM 1270 Adventure, Ducati Multistrada or my old introduction to ADV bikes, the Triumph Tiger. But price plays a huge role in my purchase consideration, so the bigger, more expensive bikes would probably lose out. I might also be tempted to look at slightly smaller displacement bikes too, like the Suzuki V-Strom 650 ABS, BMW F 800 GS, Triumph Tiger 800 XC and even that eternal sleeper, the Kawasaki KLR 650. 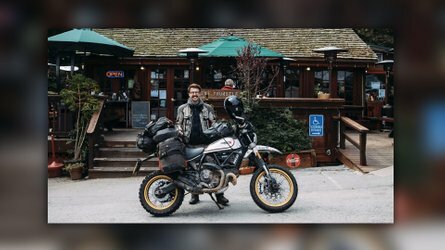 If you’re a real adventurer and your rides are more off the map than on the street, I suspect that this review will not turn your head. If you’re a rider who needs a solid commuter with additional capability, you’d do well to consider the Suzuki V-Strom 1000 ABS. Every rider has his or her own style, size and weight. We decided to put things in perspective and show what each reviewer weighs and their experience.